Welcome to Philoxenia. 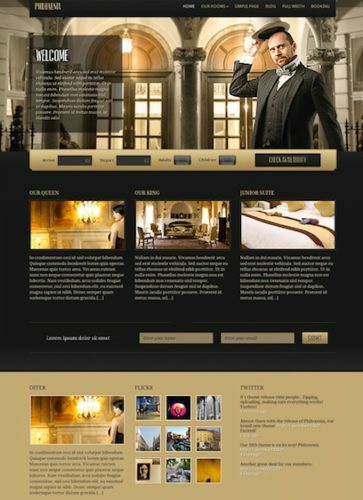 Our beautiful WordPress theme specifically designed to showcase your hotel (or your client’s hotel) in style. With Philoxenia Hotel WordPress Theme, you can show the world photos of your beautiful rooms using our carousel. You’ll love it! Features include online booking form, scrolling featured images, twitter feeds, social media icons, hotel amenities, shortcodes and more.